Bahco 28” Super Light Loppers. Model # P116-SL-70. Bahco 28” Super Light Loppers. Model # P116-SL-70. Extra-long reach professional bypass lopper for pruning and training all kinds of vines. Longer handles for better reach. 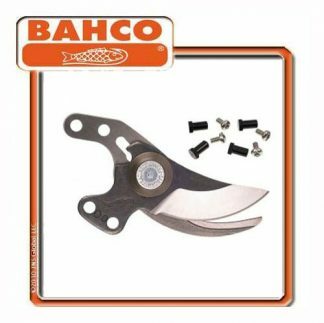 Blade with two different edge radii for quick and powerful cuts and to finish the cut smoothly and easily. Very robust forged counter-blade. Very comfortable to use with its soft rubber bumpers between the handles to prevent fatigue. Curs up to 1.25 inches and has an overall length of 28 inches.